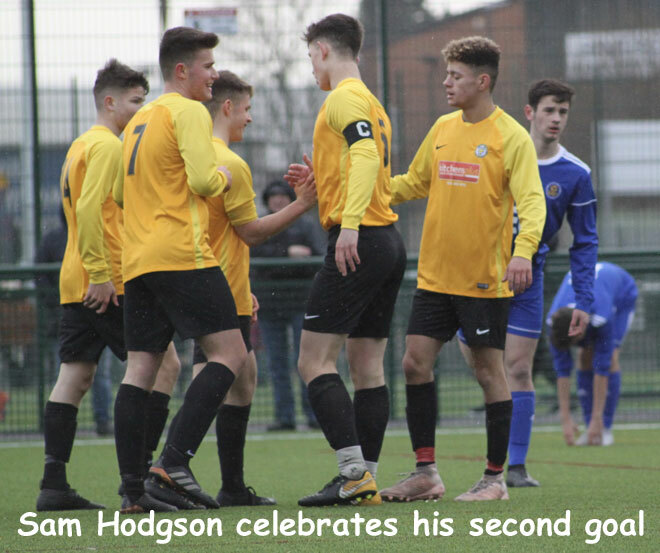 After organisational difficulties and two cancellations the U18 ESFA Inter-county Trophy tie against Merseyside finally went ahead and returned a totally unpredictable and remarkable outcome. This fixture has produced some outstanding games over recent seasons with some brilliant team and individual performances from both squads in some epic cup semi-finals and finals in the Northern Counties and National Cup with honours even between two strong footballing counties. This recent history gave no indication how this game was to unfold. 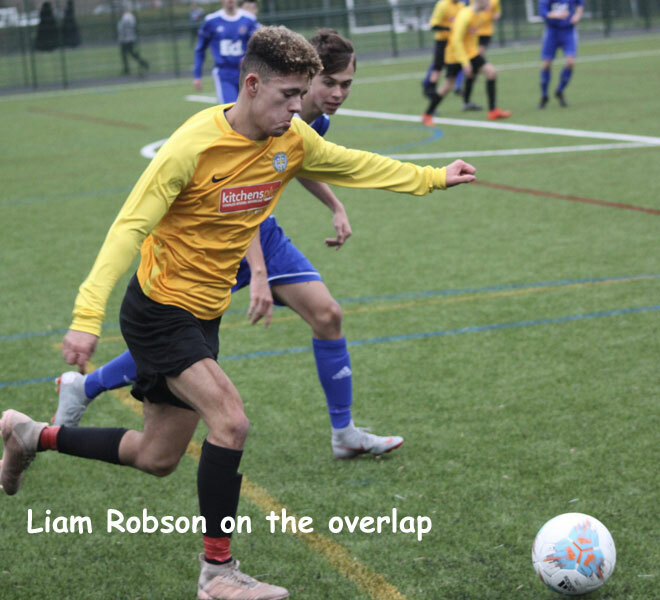 Durham kicked off into a slight breeze on a 4G pitch that suited their free-flowing football and they set their tone and approach early with a quick move down the right flank involving full back Liam Robson and wide-man James Thompson. 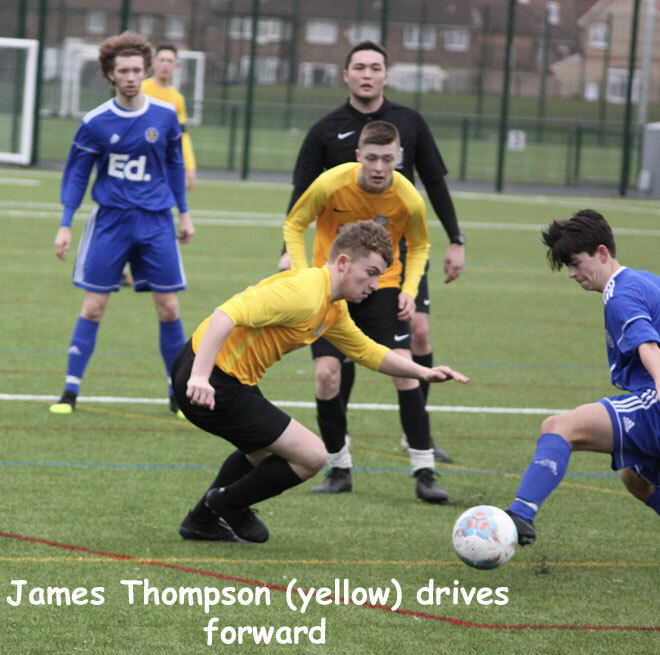 Thompson floated past Merseyside full back Ged Courtney and delivered a dangerous ball into the penalty area which Merseyside goalkeeper, Tom Thornton was glad to gather. Joe Lockey and Jonny Langley were also providing some good combination play down the left-hand side to provide similar opportunities. In return, Merseyside got the ball forward early to forwards Dylan Jeffreys and Caleb Jones who showed they could be a threat if they get the service and hinted that the rearguard of Robson, Nik Krokhin, Ryan Colquhoun and Lockey could be in for a busy afternoon. 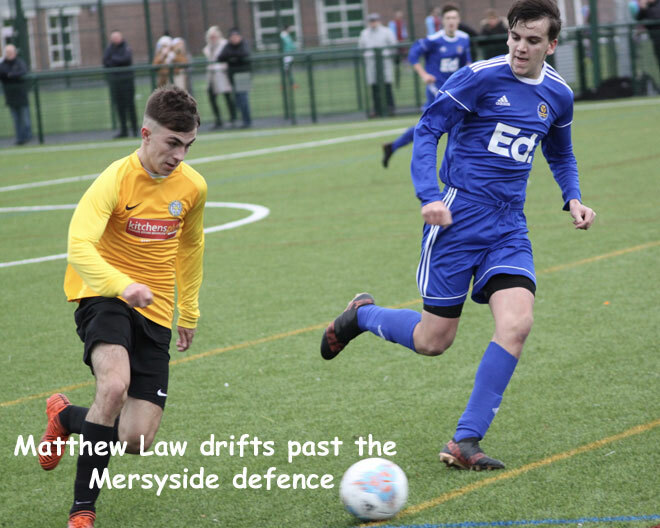 However, the breakthrough came at the other end where the mobility of Durham forwards Matthew Law and Sam Hodgson unsettled the Merseyside centre backs Tom Preston and Callum Shepherd, and it was Law who finished off another fine cross from Thompson from the right-hand side. This was the real taste of what was to come for the tortured Merseyside defence. Thompson then made it 2-0 when he cut inside and placed a powerful drive across Thornton. At this stage Durham had patiently but effectively taken control of the midfield where the quick, controlled and incisive range of passing from Stephen Black was well complemented by the powerful driving runs of Mason Hurworth. The front two combined again with Law providing with a neat pass for Hodgson to deservedly get his name on the scoresheet to make it 3-0 and give Durham a relatively safe scoreline. Merseyside refused to give this game up however and continued to hit the ball forward early to turn the Durham defence round and Owen Brown in the Durham goal had to remain alert and show his dependable handling skills on numerous occasions to prevent Merseyside from getting back into the game. On 25 minutes Black played an excellent ball into the path of Hurworth whose powerful drive forward brought in Hodgson who, in turn, delivered a delicate chip over the defence for the incoming Langley who smashed an unstoppable left-foot volley into the back of the net to make it 4-0 and effectively secure the win unusually early in the game. The ever-alert Law then stole onto a misplaced back pass and applied a composed finish to make it 5-0 as half-time approached. Durham made full use of their squad by making five substitutions at half-time and the new players made sure that the momentum continued. 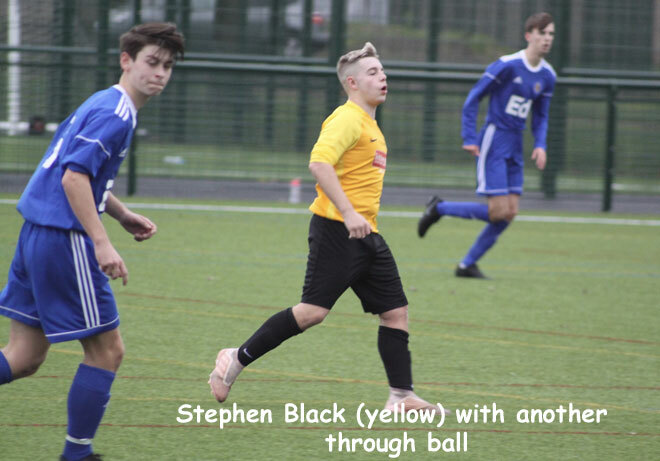 Stevie Johnson got onto the end of a long ball forward and cleverly flicked the ball into the path of Hodgson who picked his spot and drove the ball across Thornton and into the far corner to claim his second goal. Joe Ames then rattled the bar with a piledriver from 30 yards and Johnson headed in the rebound only to be called offside and at this stage a rout was definitely on the cards. Hodgson played into the path of Joe Sloan who drove forward and crossed for Johnson to finish at the far post. Johnson then returned the compliment for Sloan who wrong-footed his defender for a cool finish to make it 8-0. Johnson then finished from an acute angle after a near-post scramble and provided another cut-back for Law to clinically get his hat-trick and then repeated the cut back again from the touchline for Steven Black to complete the scoring from the edge of the penalty area to make it an 11-0 rout. Despite the emphatic scoreline, the young Merseyside team continued to play right till the end but, from start to finish, it was the Durham squad who produced a powerful performance and a commendable approach to the game. Durham will now meet their close rivals Northumberland in the quarter-finals.